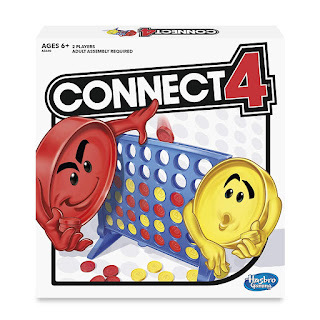 HURRY over to get this Hasbro Connect 4 Game for ONLY $6.15 (Retail $12.99)! Challenge a friend to rule the grid in Connect 4 Classic Grid, the game where strategy drives the competition! Line 'em up and go for the win! Choose the gold discs or the red discs and drop them into the grid. When you get 4 discs in a row, you win. It's simple, fast, and fun. Master the grid.